Javier Quinteros pursued a degree in Computer Sciences at the University of Buenos Aires (Argentina). His PhD thesis, presented in 2008, was a collaboration between the Departments of Computer Science and Geology at the same University. The main topic was the design and implementation of numerical thermo-mechanical models for the simulation of geodynamic processes. As a postdoctoral researcher in Geophysics, he has worked in the Laboratory of Andean Tectonics (Univ. of Buenos Aires) and at the Geodynamical Modelling Section of the GeoForschungsZentrum Potsdam. The main research topic was the lithosperic deformation on subduction zones. 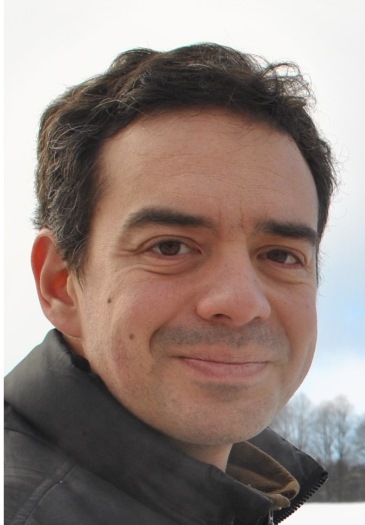 He is Head of a "Helmholtz International Research Group" (2013-2016) with partners in Argentina and also co-PI of the new "International Research Training Group" StRATEGy (DFG 2015-2020) between the University of Potsdam and Universities of Argentina. Invited Professor of the University of Buenos Aires. Supervisor of Master Thesis as well as two PhD students in Germany and Argentina. Actually working since 2013 as Data Manager at GEOFON (GFZ) and also in charge of the design and development of new protocols and services for the Seismological community. In particular, he actively works in the EUDAT2020 and EPOS projects.